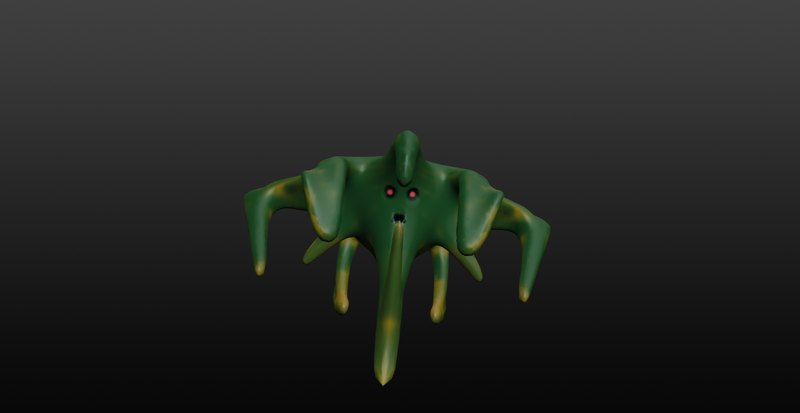 This was a Character model for a development project I was working on. This is a flying creature I call the green Daemon. My thought behind this was to make a creature that looks peaceful but really is protective of it’s territory.